The back – I love the patchwork strip I added. 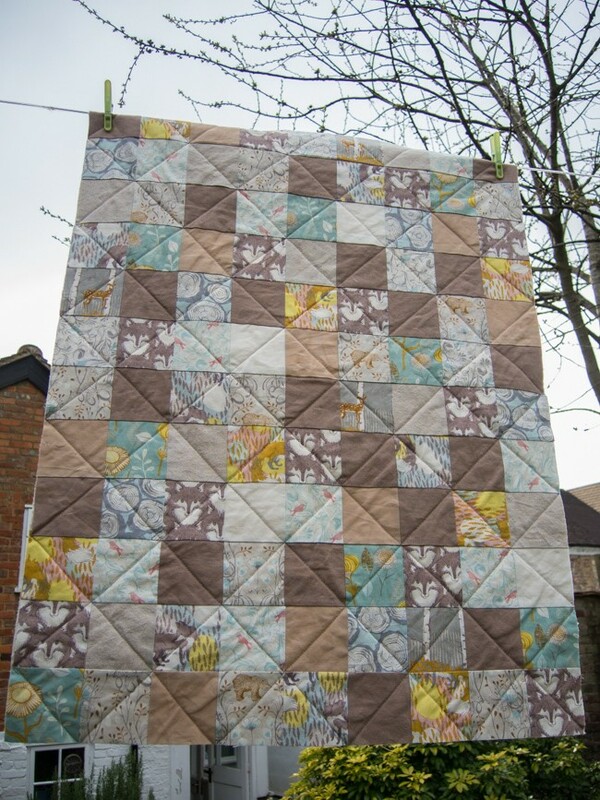 Last week was a whirl wind of activity in order to get the baby quilt finished in time for its flight to the USA with my parents to get to my new neice. I didn’t get any of it done during the week before because a rotten cold and no energy (hopefully linked). 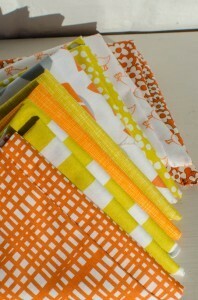 So I watched a few YouTube videos on how to do binding plus some very useful websites and blogs (here and here). I got started at Plain Stitch’s Wendover Sewing Bee on the Tuesday evening, though I think I spent more time chatting and natting than actually sewing, and then finished it on the Friday I had off work. The ladies at the Sewing Bee were adamant I add a label so that was an extra job I hadn’t accounted for but luckily I have some fabric pens so it didn’t take too long to do. 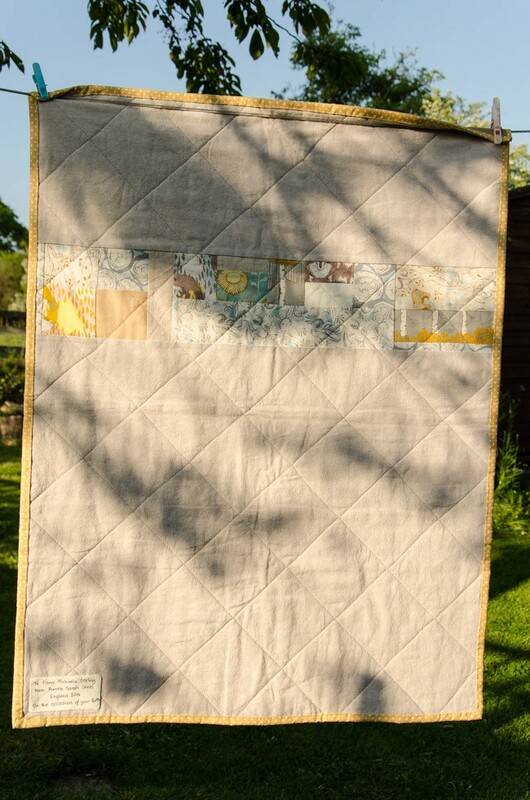 And I have to say the label finished it off nicely and I am very proud of my first proper quilt! 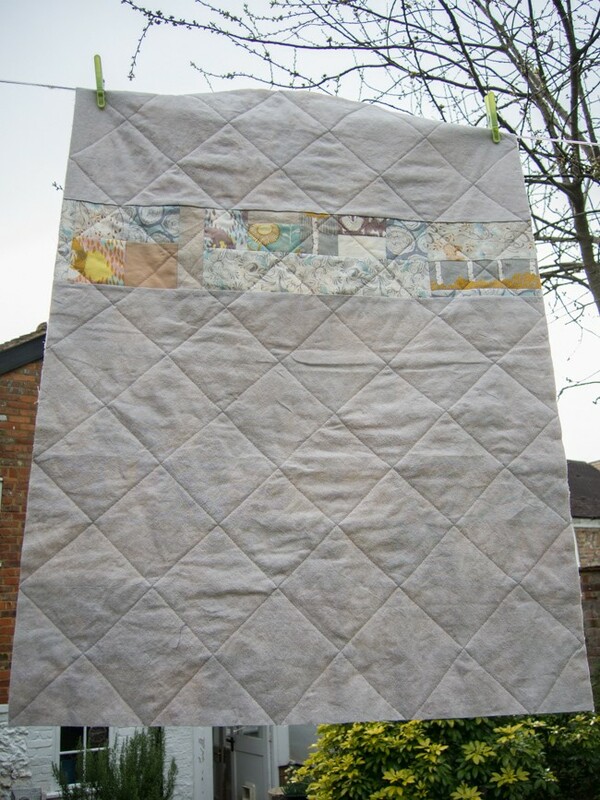 I have had an enjoyable weekend learning how to machine quilt from tutorials and videos available online. The web is such an amazing source of information, meaning I don’t necessarily need to find time to take a class or buy and read a book. It was good to use the other half of my brain while my haemotology course notes sunk in! Just the binding to be done at some point. I think I like the back more than the front! Part of my Christmas present from my better half was a sewing machine to replace a very old and knackered hand-me-down that was on its last legs. It had its first try out a few nights ago as I needed to shorten my new trousers for work. It worked like a dream! Isn’t it wonderful when you have been using a worn out piece of equipment past its sell by date then get the new version, it suddenly seems so much easier? This applies everything to sewing machines to cars to ultrasound machines. 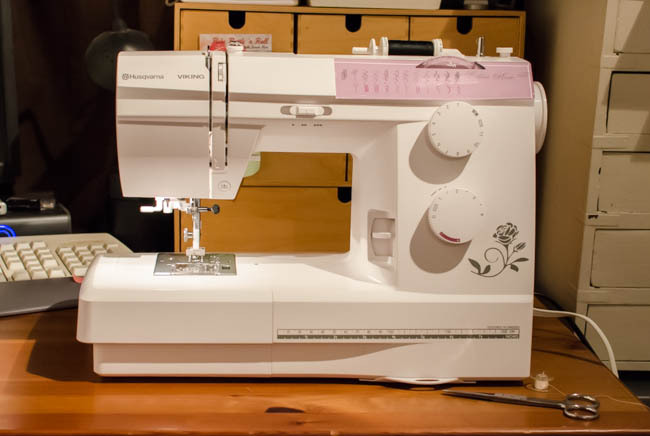 Thank you to Patchwork Corner in Hemel Hempstead for helping me chose the machine; they were very friendly and helpful. It is, however, a dangerous place for someone like me as there are piles of beautiful fabrics. 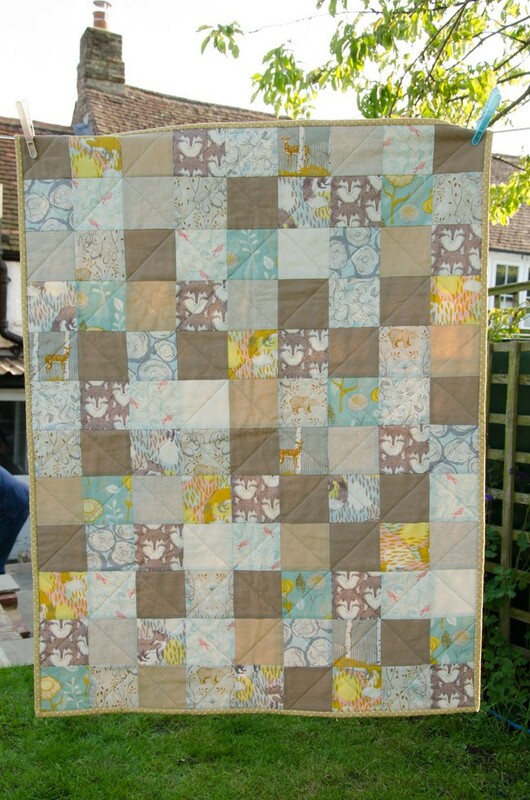 So project number two for this year is to make a quilt. 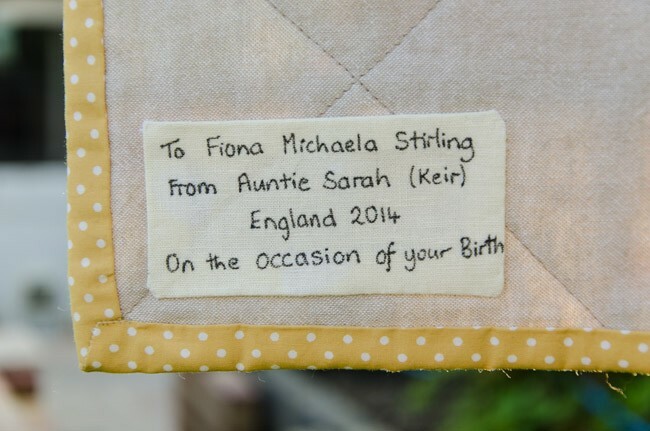 I am starting with a small quilt, which will hopefully be ready in time to welcome my new niece into this world and be taken half way round the world by my parents to her in Richmond. This will not be my first quilt. 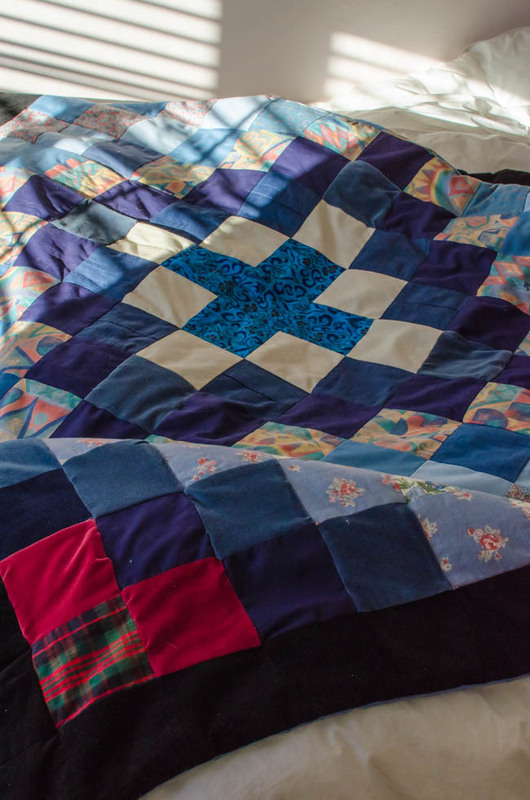 A long time ago, about 15 years ago, I made a quilt from scraps of material I found in my mothers sewing stash. It took me the whole long summer before I went to University but has been with me ever since and is still used almost daily as it lives on the bottom half of my side of the bed (my husband is always too hot so I need the extra layer on my side only). It is starting to look a little dirty (the cat likes it too) so this summer I will need to pluck up the courage and wash it. I love how every bit of fabric has a story to tell and particular meaning to me; there are scraps from clothes my mother made myself and my sister (including my prom dress and my sister’s communion dress) and the ones she didn’t get round to making, the curtain off cuts when I remember being with my mother choosing and buying the fabric and some fabric from old dresses she used to wear. I don’t remember the design process or even why I made it but I still the love the way it looks, that it is useful too and has personal meaning. 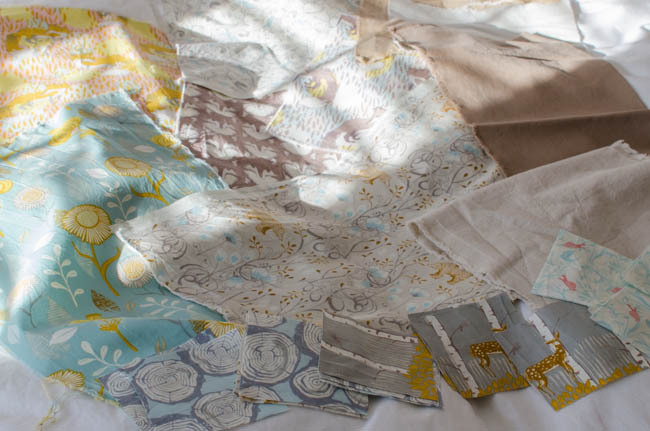 I have already bought some bundles of fabric to start the baby quilt but I haven’t decided on the colours yet. I don’t think it is giving anything away by showing them to you as I haven’t decided on which lot I am going to use. I think I was secretly buying for myself too, especially the yellow/orange set, so I guess that will be the next project after I finish the baby quilt. I have found another sweet fabric shop which is even closer to us. I had to drag myself away from it today otherwise I would of ended up with another bunch of fabrics. This little shop is upstairs in the ‘Barn Courtyard’ in Wendover. Have you got any projects lined up for this year?